Graziano Pelle, so handsome, inventive and erudite, summed this game up very well when he described afterwards how Saints are ‘finding solutions’ to win different games. In the first half, QPR successfully stopped Southampton’s flowing play by defending strongly and slowing down the game, and when chasing the game in the second half, they showed their other side by playing some good football capped by an excellent goal by Charlie Austin. But minutes later it was Pelle himself who ‘found the solution’ with a brilliant, instinctive finish to win the game for Saints. It was a goal that would normally challenge in any goal of the season competition, but for Saints it was merely our best goal since Tuesday. For Pelle himself, the goal was the finishing touch to an outstanding individual performance. A month ago, Saints fans were already questioning spending 8m on a 29 year old unproven striker; he looked immobile, one-dimensional and heavy in body and touch. After this performance, no observer of Saints will question Graziano Pelle again. He moved all across the front line, continually bringing Tadic, Mane and Steven Davis into play with assured and inventive touches, and was always Saints’ first line of defence. He gave Rio Ferdinand and Steven Caulker one of the toughest afternoons they will face. The goal itself, a chance he fashioned from nothing, was an overhead kick with a deftness of touch which arced over the stretching Rob Green and into the corner. 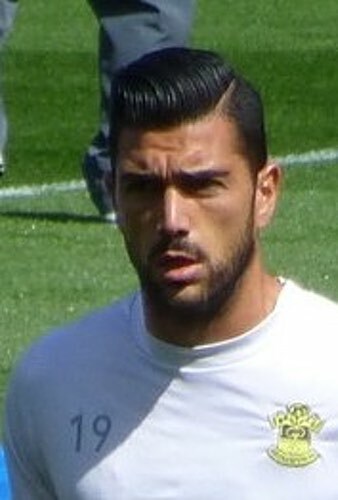 It was Pelle’s fifth goal of the season and by some distance his best. In a performance which was every bit as good as anything produced by Rickie Lambert in the Premier League, Graziano showed that he had something extra in comparison to his predecessor; the ability to find something from nothing. 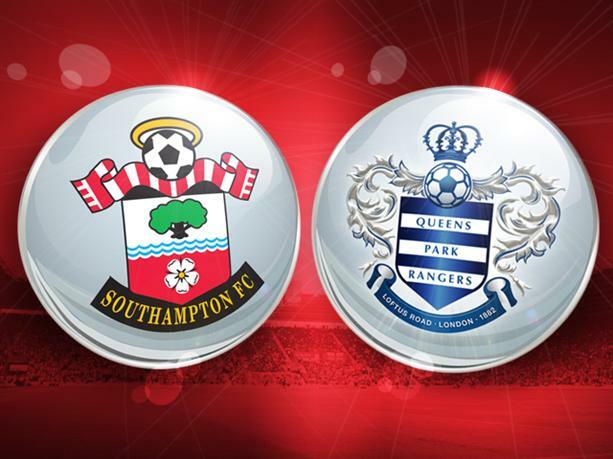 Thanks to profligate finishing from Tadic, Steven Davis and Shane Long, it was a goal that finally won it for Saints despite a late onslaught by a resolute QPR team. The match started positively, with Saints starting off where they finished at the Emirates on Tuesday night. Sadio Mane, on his Premier League debut, was the conductor of Saints’ early attacking play. Although nominally based on the right, he enjoyed a licence to roam all across the front line as well as come deep on occasions to get the ball and make something happen. Tadic on the left and Davis in the middle completed the attacking formation, while Morgan Schneiderlin and Victor Wanyama took up their familiar positions in the middle of the park. Their usual dominance of central areas was not evident in the early stages, though when Sandro went off injured early on, normal service was resumed. However, throughout the first half QPR did well to slow the game down. When the whistle blew for half time, the Saints players’ decision to train on Wednesday looked regrettable, with our play laboured and slow. This was a familiar situation from last season; against teams set on breaking the game down, we were again struggling. But the deadlock was broken early in the second half when Sadio Mane’s decisive backheel was latched on to by Ryan Bertrand, who rifled the ball under Rob Green and into the far corner. It was a goal that drew comparisons with last season. While Mane’s instinct for the killer ball found an excellent forward run by Bertrand, it is easy to imagine a series of pirouettes and Cruyff turns from Lallana, resulting in a lay-off to Luke Shaw and a hopeful ball flung into the box. Instead, we saw a decisive run into the box, an incisive through-ball and a strong finish. Ryan Bertrand already has more goals for Saints than Luke Shaw, this goal capping the best performance in a Saints shirt for the Champions League winner. This forced QPR to chase the game and they did so well. Saints looked troubled in defence, with skipper Jose Fonte making some crucial interventions. Alongside him, Toby Alderweireld looked assured but slightly out of place on the left side of defence. On the occasions when he was forced to use his left foot, his distribution was found a little wanting, with a number of out balls going astray. However, when QPR brought Zamora on he was given more to do from a defensive point of view and stood up to it well. QPR did find an equalizer with an excellent strike from Charlie Austin, but once Pelle had restored the lead, it was Saints who looked more likely to extend it. Both Tadic and Shane Long missed excellent chances with only the keeper to beat, and although Krancjar hit the woodwork with a free kick, Steven Davis replied with an effort of his own from similar range. Rob Green, who made a number of excellent saves, clawed that one away but he was unable to inspire his team to an equaliser. Almost exactly a year ago, Saints hosted West Ham at St. Mary’s in an early season game after a positive start. West Ham were intent on stopping Saints from playing, and they did so successfully. That match finished 0-0. 6 months before that, QPR themselves came to St Mary’s with similar pretensions and despite limited attacking intent, beat Pochettino’s team 2-1. Under Ronald Koeman and with Graziano Pelle at the heart of this team, Saints reversed that scoreline and were able to find the solution to win a tough game. Now it is on to face Pochettino himself and Saints' biggest test since the opening game at Anfield. With Chelsea facing Arsenal at the same time, it is entirely feasible that, should Ronald Koeman inspire a victory over Pochettino, the 3 points will catapult Saints into top spot in the Premier League.